Twenty years from now, a group of heroes are on their way to Mount Olympus. Heroes that look familiar, yet very different. They mention Sovereign's territory and that there is not much on Earth that is not Sovereign's territory. They are being very careful, almost as if they are fearful for coming here. They are looking for signs of Sovereign or Curry, when Curry appears looking more like half Cyborg and half Aquaman. A short battle ensues where we learn that one of the heroes is his daughter and that Curry is in the possession of something called a dark ring. Surprised by this as they thought all dark rings were destroyed in something called the "Lightfall," they flee the battle. They question if whatever they are looking for is still here and will it even work? Sovereign appears as these future heroes open a portal and escape. Midway City present day. The city has been battle worn as tens of thousands have murdered each other. Cyborg suspects that the people who used to live here had enhanced strength and sends information to Batman for further analysis. Wonder Woman discusses how she left her home to stop this and she feels like she has failed. Superman tries to reassure her that they prevent people dying daily, but Wonder Woman does not think that's enough. Cyborg reminds her that they can't impose their will on the world or they'd be no better than the villains. Wonder Woman asks Superman what kind of world do we want to leave for our children and he responds, "A better one". 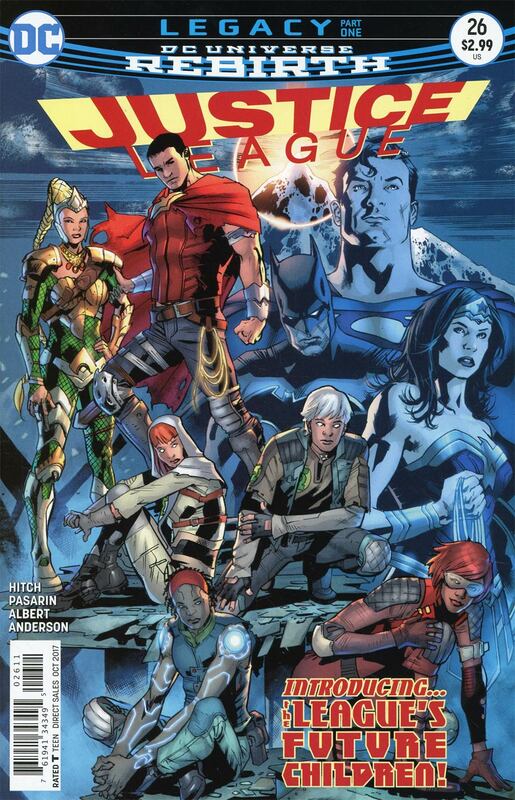 A portal opens up and the heroes from the future appear in front of the Justice League. When asked "Who are you?" they respond, "We're your children from the future, The world is almost finished. Broken. Billions dead, and it's all your fault." 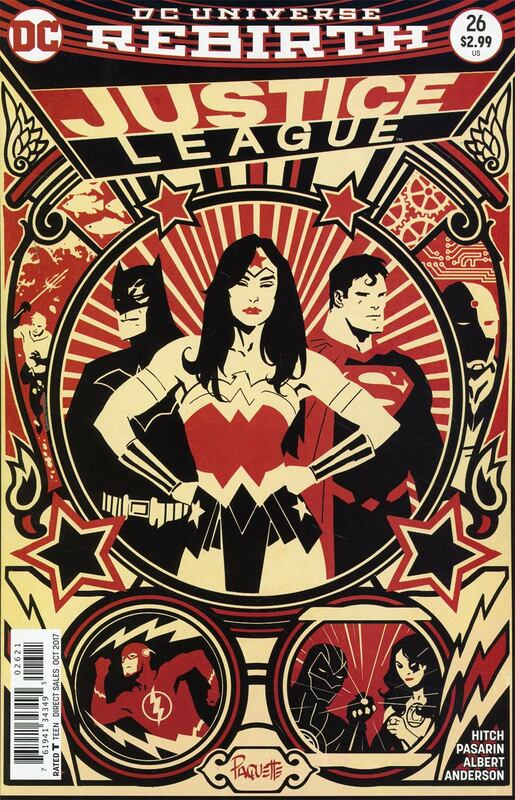 Next up: Justice League... The Next Generation. Story - 3: This story did not flow well at all. The book started out in the future, but is this the future of our current Rebirth universe? If so, whose children are they? One of the kids looks like a hybrid of Clark and Diana, and if so what happened to Lois? An alternate Earth's future? If so, which one? How did Arthur Curry get to be half robot? How did our heroes destroy the world, and can they fix it before it's too late? Art - 4: I really enjoyed the art in this book. The character designs for these future heroes were brilliant. Nice bright colors, great backgrounds. This book was just pleasing on the eye. Not sure I have seen Fernando Pasarin's work before but I would love to see it again in the near future. Cover Art - 5: This is a beautiful cover. Our heroes faded in the background, and their offspring front and center. This cover is great! Cover Art - 3: Not bad, much better than last issue's for sure. It reminded me of a classic movie poster, Metropolis maybe. For those that enjoy a little stylistic art, you will enjoy this cover.